As a former songwriting partner of Ricky Martin, Draco Rosa has come a long way from his boy band days. Since his time as a member of the ‘80s group, Menudo, Rosa has found success as a solo artist and kickass producer, helping to create some songs you probably know, like Martin’s 1999 hit “Livin la Vida Loca” and the 2000 banger “She Bangs”. The “Esto Es Vida” singer can also speak four languages, English, Spanish, German and Portuguese, which he often incorporates into his music. Using his Puerto Rican background to his advantage, he mixes Latin music with rock to create an eclectic genre that's all his own. As part of his Lo Sagrado y Lo Maldito tour, Rosa stopped by Irving Plaza in NYC, where we witnessed the "Más y Más" songbird leave both his heart and soul on stage. 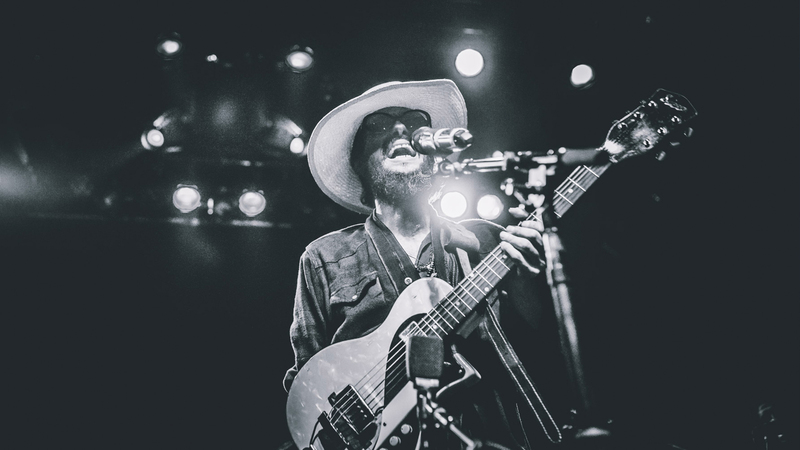 Check out the photos below, and then make sure to track Draco Rosa on Bandsintown to find out when he’ll be playing near you!